Renzi’s Renaissance – can the Italian leader save the economy? 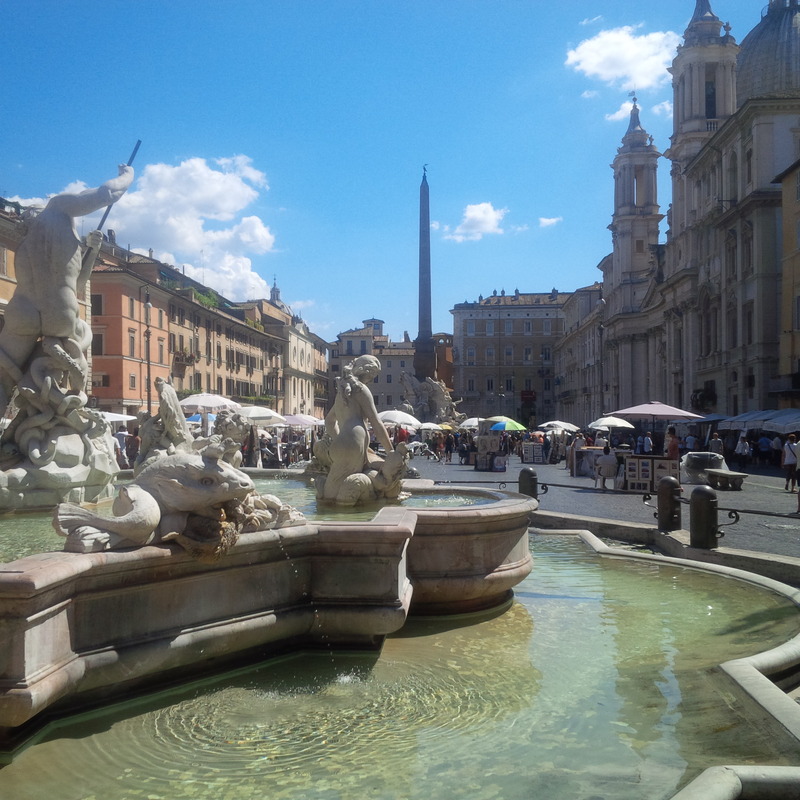 WANDERING through the eternal city last month, having given up on receiving any useful guidance from my map or well-meaning locals to get me to where I was staying, I chanced upon Piazza Navona. On a sweltering Roman afternoon, there could be no happier accident. The main fountain in this magnificent square, the Fontana dei Quattro Fiumi, was commissioned by Giovanni Battista Pamphilj when he became Pope Innocent X. The ornate mansion on one side of the square, the Palazzo Pamphilj, was also built to mark the occasion. In those days, a new pope soon launched a piazza-fontana-palazzo-chiesa-building frenzy. Monuments to this legacy dot the country’s main cities and towns. Here, a statue by Michelangelo commissioned by this pope; there, a mansion built in another’s honour. The spoils of ascending to the highest post in the church went beyond displays of bling in the form of real estate and art. Mistresses, siblings and distant relatives would snap up positions in the church. The corrupt links between the papacy and private wealth were most flagrantly expressed in the dealings of families such as the Medicis and the Borgias. This is a world away from Italy’s current manifestation as a major eurozone democracy. But in another sense, the old themes are ever-present, with the country recently having to endure Silvio Berlusconi as prime minister. The curse of venal elites runs through the ages. Today, Italy is embroiled in the postcrisis European economic saga. Once a seat of formidable Renaissance banks, it is buckling under a mountain of debt. Economic growth has been low or nonexistent since the late 1990s. The country is frequently chided for its lack of competitiveness, ineffective public institutions, organised crime and corruption. A first-world country with third-world problems. A few years ago, visiting a friend in Florence, I was pleasantly surprised to find that the lunch period is still sacrosanct. Many shops close for a few hours around 1pm to make time for eating and rest and life. It is easy to think of such time-honoured traditions as holding back the country. But Italians work, on average, 1,752 hours a year, not too far off the Organisation for Economic Co-operation and Development (OECD) average of 1,771. The average German clocks a mere 1,371 hours a year, so perhaps one should head there for a true experience of la dolce vita. The trick is that German productivity per hour is just more than 20% higher than in Italy, according to OECD figures. Italy, unlike another ancient power in the doldrums, has largely embraced the path of structural reform without much of a fuss. Prime Minister Matteo Renzi talks tough on antigrowth austerity. He also openly appreciates the challenge with Italy’s sluggish economy and is a passionate advocate for change. With youth employment running at more than 40% and the economy barely growing, a lot hangs on the success of labour market liberalisation, as well as financing, institutional and other reforms. The trouble with reform programmes in Italy is that they have never yielded much. Successive governments have promised to reignite growth and dynamism but politics and institutional inertia always get in the way. The current generation of the Pamphilj is installed in a palazzo not far from Piazza Navona. About a year ago, they emerged from an ugly legal wrangle. Prince Jonathan Doria Pamphilj was taken to court by his sister, Princess Gesine. The prince is raising two children with his male civil partner. She sought a ruling on whether these children were in the legitimate line of inheritance. The case was thrown out of court. The ancient families are reconciling themselves, with some difficulty, to a changing society. Will Italy flourish once more to become, as Renzi once said to a US newspaper, a country that has stopped crying over itself? (This column first appeared in Business Day here).